In child protection, alcohol testing is relied upon to help decision making in cases where one or both parents have an addiction issue or in cases to prove abstinence. Understanding the level and pattern of alcohol misuse can help assess the risk to the child. Treatment for dependence issues can then hopefully reduce the impact on the family unit. You need to be confident that the decisions you make are backed by scientific evidence. Consequently, there are a wide variety of alcohol tests to choose from depending on the required timescale of alcohol assessment. AlphaBiolabs has a comprehensive range, which includes instant breath tests, blood analysis and 3- or 6-month hair analyses to show alcohol consumption over a period of time. Continuous results are also available using an innovative alcohol monitoring bracelet. Breathalysers show the level of alcohol in the breath at the time the test was taken. This method of testing is therefore ideal to check for current alcohol consumption and can be used to prove sobriety as and when needed. The portable device is favoured by social workers for point-of-care testing when evaluating child protection issues. Blood testing can determine whether a parent may have drunk to excess over the course of the last 4 weeks. The Liver Function Test (LFT) assesses the variation of liver-produced proteins in the blood. This is combined with the Carbohydrate Deficient Transferrin (CDT) test that looks at a specific biochemical marker for alcohol consumption. A longer history of alcohol consumption can be achieved by looking at two metabolites of alcohol in head hair: ethyl glucuronide (EtG) and fatty acid ethyl esters (FAEEs). AlphaBiolabs follows the consensus on hair alcohol testing for chronic excessive alcohol consumption published by the Society of Hair Testing (SoHT). 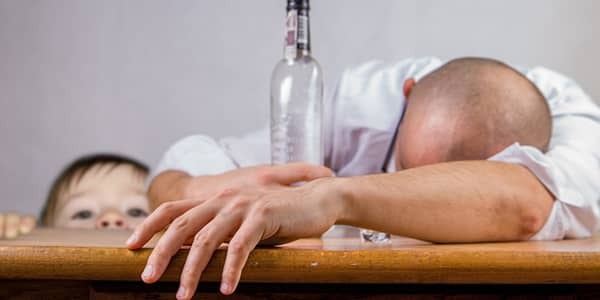 The level of biomarker found in the hair can help determine if a person has been drinking chronically and excessively, and will show an overview of 3 or 6 months. Body hair can also be tested to give an overview, although this test only measures EtG. Individuals can go to dramatic lengths to hide their alcohol consumption when their family is at risk. Parents may shave their hair off. Excessive hair washing, bleaching, dyeing, and hair preparations such as gels and wax can affect alcohol metabolites in hair. Consequently, AlphaBiolabs offers nail clipping analysis, which can provide up to a 6-month overview of alcohol consumption. This is because consumed alcohol circulates in the bloodstream and a proportion of it and its metabolites becomes incorporated into the keratin that makes up nails. Toe nails as well as finger nails can be analysed. An easy way to show the frequency and pattern of alcohol consumption is available with SCRAM Continuous Alcohol MonitoringÂ® (SCRAM CAMÂ®). This alcohol testing bracelet is worn on the ankle and monitors alcohol consumption by testing for the presence of alcohol in perspiration every 30 minutes. It is the first device of its kind to detect the drinking of alcohol in real-time. Results are automatically gathered and uploaded without the need for an individual’s participation. Continuous monitoring has been proven to enforce participant sobriety, compliance and accountability. As such, SCRAM CAM® is popular among child-protection agencies as a tool to change behaviours in higher-risk alcohol-dependent parents. For expert advice or further information on legal alcohol testing, please call 0333 600 1300 or email us at info@alphabiolabs.com.